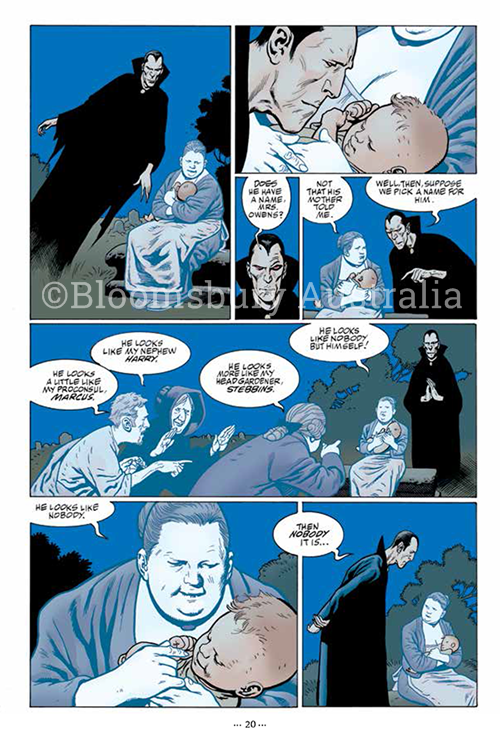 An irresistibly brilliant graphic novel adaptation of The Graveyard Book by Neil Gaiman, adapted by award winning illustrator P. Craig Russell. This is the first of two volumes. Nobody Owens lives in a cemetery, after a terrible tragedy that left him orphaned. The young man simply known as Bod is being raised by Ghosts that inhabit the grounds, with a vampire who brings him supplies from the outside that his phantom guardians cannot provide. Bod is forbidden to leave the grounds, as the world isn't safe for the boy who was marked to pass with the rest of his family. Inside the grounds he learns not only about the dead, but how to live. 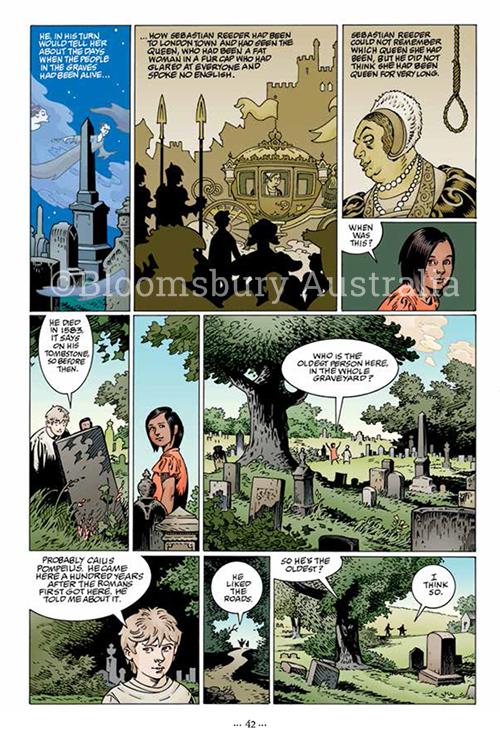 The Graveyard Book Graphic Novel is incredibly charming and eerily beautiful. Having not read the original and also being my first graphic novel, I absolutely adored it. It follows the story of Bod, short for Nobody. As an infant, he was marked to be murdered along with the rest of his family, but miraculously escaped his fate. The incredibly beautiful comic type illustrations take the reader on a journey through Bod's physical and emotional growth. Each chapter comes courtesy of a different illustrator, P. Craig Russell, Kevin Nowlan, Tony Harris and Scott Hamptom, Galen Showman, Jill Thompson and Stephen B. Scott, and range from uplifting and bright, to dark and brooding, complimenting the storyline brilliantly. The visuals are stunning, often using no or very little dialogue to tell the story and made for an incredible experience. I loved the mixture of supernatural and paranormal beings, from his Vampire caretaker to the ghosts that inhabit the graveyard, each having a hand in raising Bod. It was so incredibly engaging that I couldn't put it down. I found myself immersed in the illustrations, one point I absolutely loved was the facial expressions of each character, they were not only expressive, but told the story in itself. Highly recommended for fans of the original and lovers of graphic novels. The mixture of Gothic style illustrations shaded in night and day were incredible. Not only am I now eagerly awaiting the second volume, but it's spurred me to purchase the original novel. It was simply incredibly charming and brilliant. I've never a graphic novel OR the Graveyard Book...so I totally want to try this. I really like Neil Gaiman's books but I find the writing kind of difficult. So this might actually be a good compromise. And who doesn't like picture books?! COME NOW. Never too old. This is my first graphic novel too, but I've seen how many readers loved the original book and I'm so glad I started with this one. It was just divine, really easy to follow and the illustrations were incredible with a touch of gothicness. And I'm pretty sure that's a word. 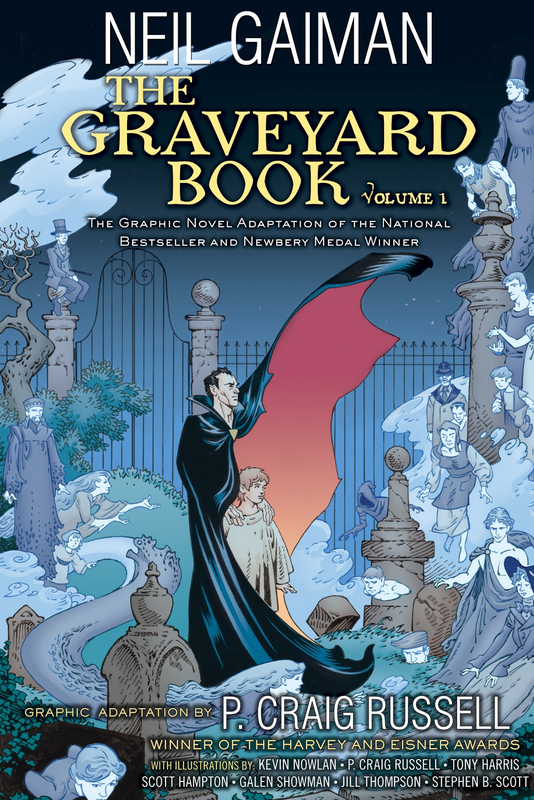 I've never really been a big reader of graphic novels, but I have heard positive things about 'The Graveyard Book' (and I'm sure I have a copy somewhere) so I would definitely like to read it someday. I've bought it, seeing I loved the graphic novel so much. I can't wait, I'll have the beautiful illustrations in mind while reading it and looking forward to the experience. Definitely worth it just for the pretty pictures. I think I might need to read a few more before I tackle those, but this is actually my first graphic novel. Going to have a look and check out a few others of books I've already read and work my way up to The Walking Dead. Although, they couldn't be any more graphic than the TV series, could they? This was my first one too, and I absolutely adored it. I found that what should have only taken me an hour or two to breeze through, ended up being an entire afternoon. The illustrations captured my attention completely. Thanks for popping by Emily. KELLY YOU HAVE THIS BOOK!? GIMME! Having read the Graveyard Book, I'm REALLY EXCITED to pick this one up sometime in the future! I really want to see all my characters come to life in a comic hahhaha! I'm reading in reverse. I haven't read The Graveyard Book yet, but have just purchased it. That's how much I loved this graphic novel. It's just divine. Oh man, that art is beautiful. Seriously - I love the drawing and the color so much :D This post makes me miss my manga so much ._. I used to read graphic novels like crazy, eating them up left and right. I've stopped for a while to focus on books but now I'm missing them! The images don't do the final published illustrations justice, it's simply gorgeous Faye. I'm looking forward to reading the original and part two in the graphic novels series, soon hopefully. I've never read a graphic novel yet, and never even heard of the book before this, but I love the art there, especially the colors. I'm tempted to grab this book. This was my first graphic novel too Naban and I absolutely adored it. The illustrations give the storyline a whole new aspect and they're just so darn pretty. Hopefully you can grab a copy too soon. Thanks for popping by. The Graveyard Book is one of my absolute favourites and I was so excited when I heard there was a graphic novel coming. I've actually got a copy out from the library, but I haven't started it yet because I'm crazy. I'm glad you liked it and I think that the different illustrators would REALLY suit the different chapters - each one was a new adventure with a new life lesson.